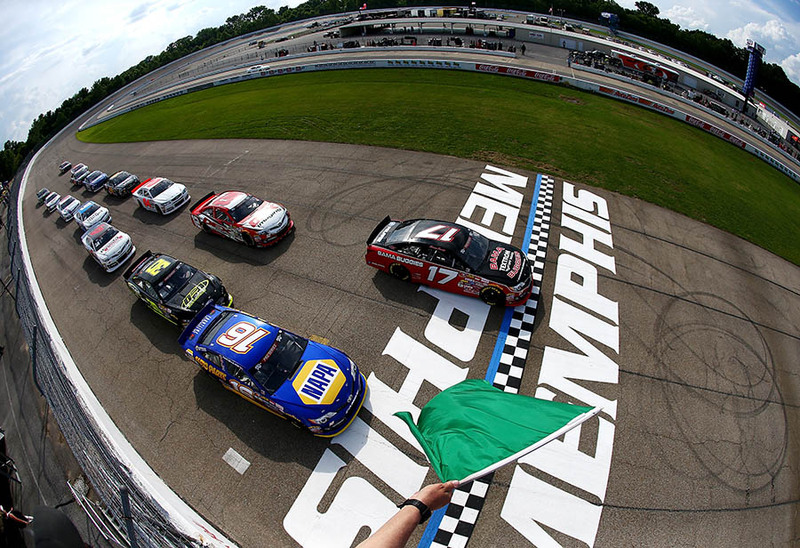 Memphis International Raceway (MIR) is the Mid-South’s premier racing destination for racers and spectators alike. 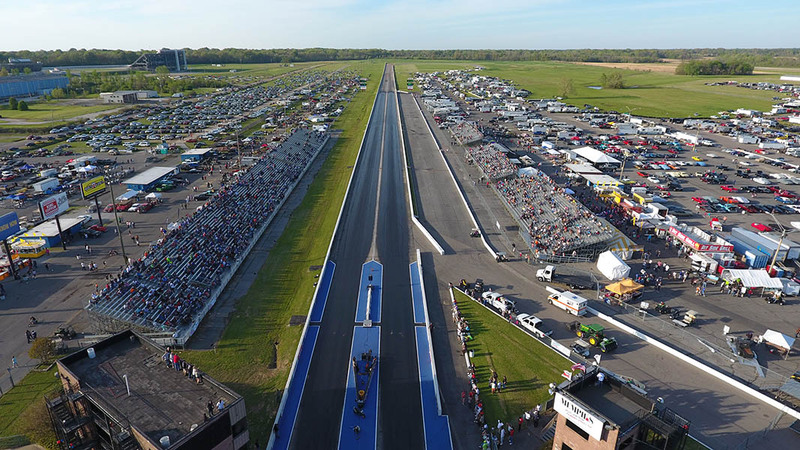 The facility, located minutes from Memphis in Millington, Tennessee, includes multiple Motorsports venues allowing it to host a wide variety of events like the International Hot Rod Association (IHRA) Summit World Finals. 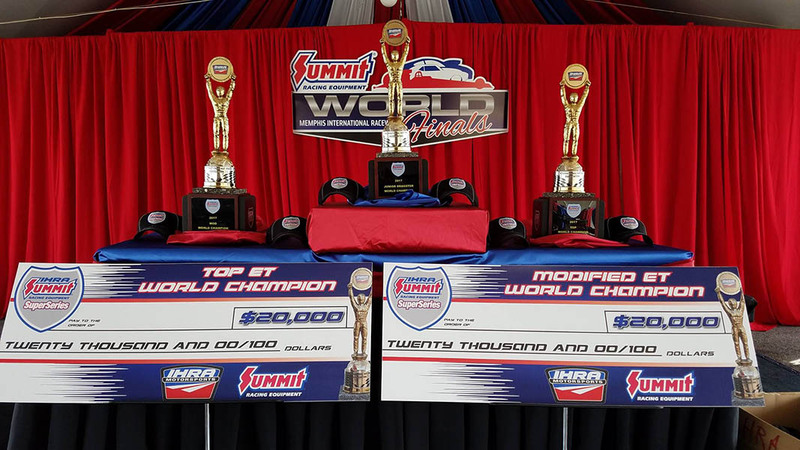 Drivers and teams from IHRA divisions around North America qualify annually for the Summit World Finals at MIR through a series of Summit Team Finals events. The Summit SuperSeries is contested at nearly 100 IHRA-sanctioned tracks throughout North America with more than 8,000 racers competing in the program annually. Prestigious events such as Original Super Chevy Show, Hot Rod Power Tour, ARCA Series, Global Rally Cross and NASCAR races have taken place at MIR. 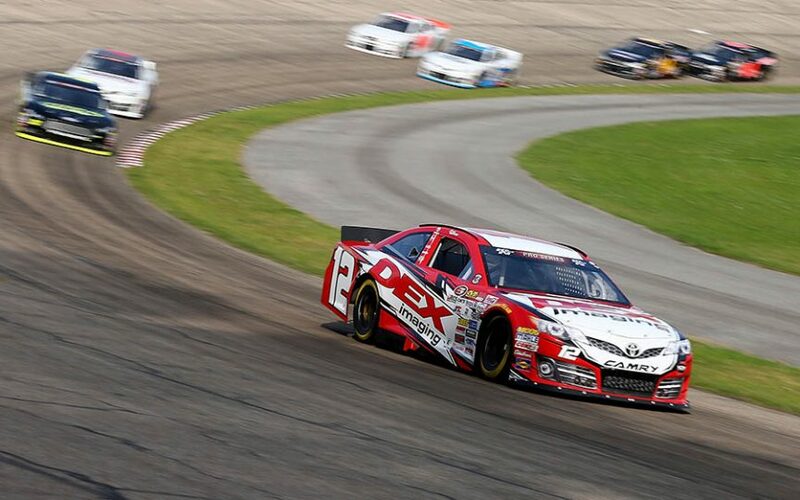 Previous NASCAR winners at MIR include: Brad Keselowski, Kevin Harvick, Carl Edwards, Clint Bowyer and Ron Hornaday Jr.
One of the track’s 2017 highlights was NASCAR’s return to the Mid-South region with the NASCAR K&N Series on June 3. NASCAR and MIR enjoy a storied history dating back to September 1998 when the facility hosted its first NASCAR race. Harrison Burton, son of former NASCAR driver/NBC Sports analyst Jeff Burton, was greeted by an enthusiastic crowd as he took the checkered flag for the Memphis 125 presented by AutoZone. Drag racing enthusiasts see it as a cool destination as well. Memphis International Raceway will host the new IHRA Summit Sportsman Spectacular on September 28-30. The huge bracket racing event features dragsters vs. dragsters and doorcars vs. doorcars. The competition is intense as prize money is paid after round three. Throughout the season, weekly racers compete in the IHRA Summit SuperSeries events at Memphis and other tracks throughout North America. The $200,000 IHRA Summit SuperSeries is the largest and most prestigious bracket racing national championship in drag racing. Hundreds of track champions converge on MIR each October for the IHRA Summit World Finals. Last year’s track champions represented all parts of North America, stretching from Alaska to South Florida. Even the final-round contestants came from different parts of the country. Tom Gall from South Dakota powered his dragster down the track past Jerry Cotton from Indiana for the Top title. Chris Black from Pennsylvania was the Mod champion, beating East Tennessee driver Travis Loy, who represented Knoxville Dragway. In the Junior Dragster ranks, Luke Schweimer from the Canadian province of Ontario defeated South Florida’s Nick Ferraro in the final. Why would these competitors travel such distances? For the Top and Mod champions, the prize pack includes $20,000, a seven-night/eight-day vacation for two to Aruba, a world championship diamond ring, and a world championship Ironman trophy. Among the junior champion’s prizes are $3,000 and a custom-built JR Race Car Junior Dragster featuring a custom paint scheme from Imagine That Customs. MIR’s Rusty Wallace Racing Experience allows fans who want to feel their own sensation of speed to actually get behind the wheel of an actual NASCAR stock car and take it around the 3/4-mile oval track. For fans of open-wheel racing and the ultimate driving experience, MIR now hosts the Bertil Roos Racing School, which has been training students in the art of high-quality, European-style road racing for over four decades. Graduates of the program can be found at every level of racing, from the hobbyist to the top levels of professional racing. In addition to serving as a world-class racing venue, Memphis International Raceway is also proud to be a good community partner. “MIR is one of the top-10 tourist attractions in the state of Tennessee,” Kendrick relates. “Our relationship with county and state government as well as local city officials has proven to be a strong support system both ways. We have hosted many events with The Memphis Convention & Visitor’s Bureau as well as the City of Millington. When it comes to Motorsports, diverse events, and community involvement, Memphis International Raceway and its dedicated staff can pretty much do it all.